After spending the last 15 summers vacationing in Bethany Beach with their four kids, Rosanne and John Strittmatter of Potomac, Md., decided it was time to set down roots. They located an older mid-century cottage on a double lot within walking distance of the beach and, although it needed a major redo, they could see that it had great potential. They loved the ground-floor rambler style with guest rooms upstairs, plus the added bonus of a backyard pool. Having already renovated four homes previously, Rosanne set to work, gutting the first floor to create an open central living area flanked by the master suite on one side and the kids’ bedrooms on the other. The back of the home offers easy access to the spacious rear patio and pool, now the central focus of all family gatherings. When Julia Ashworth’s grandfather bought a $900 lot in South Bethany some 50 years ago, he established a family vacation tradition that has continued ever since. Julia grew up coming to the home he built there, and her love for South Bethany was cemented when Travis proposed to her on the beach in 1997. The new 3,000-square-foot home utilizes an inverted floor plan, providing the family space to spread out and also to come together. 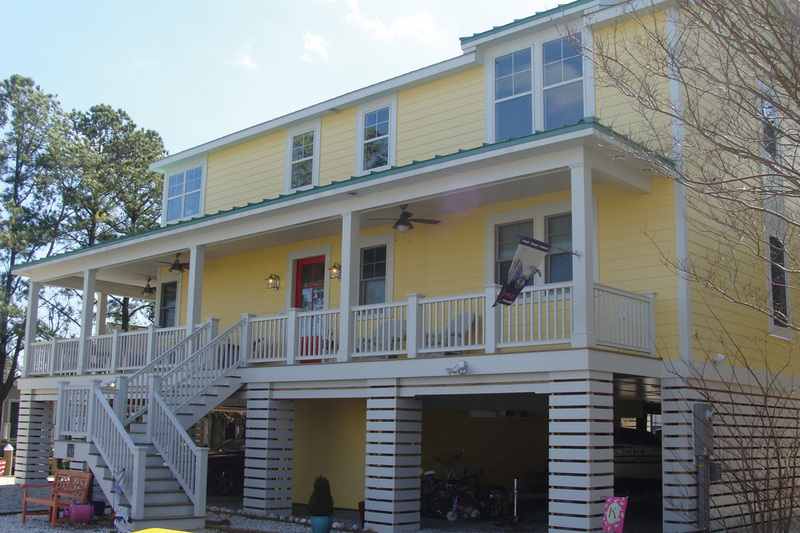 The second floor was designed for the girls, with three bedrooms, two baths, a kids’ TV lounge and a waterfront deck equipped with three Adirondack chairs. Upstairs, the main living area is topped by a vaulted ceiling and opens out to a screened porch, sundeck and beautiful views of the canal. The master suite and an adjoining office complete the upper level. The transitional interior design balances the modern sophisticated feel of large graphic art with the warmth and character of reclaimed wood found in the custom dining table, coffee table and ceiling beams. Multiple entertaining areas, both inside and out, comfortably accommodate large groups. The dockside patio, equipped with an outdoor TV and all-weather sectional sofa, is the perfect spot to relax while awaiting a ride on the family pontoon boat or a turn in one of the two outdoor showers. With a focus on fun and function, this family has created a vacation home that will welcome generations for years to come. It’s hard to believe that this spacious four-bedroom, four-bath canal-front home was originally a small three-bedroom, one-bath 1970s-era rancher of less than 900 square feet. 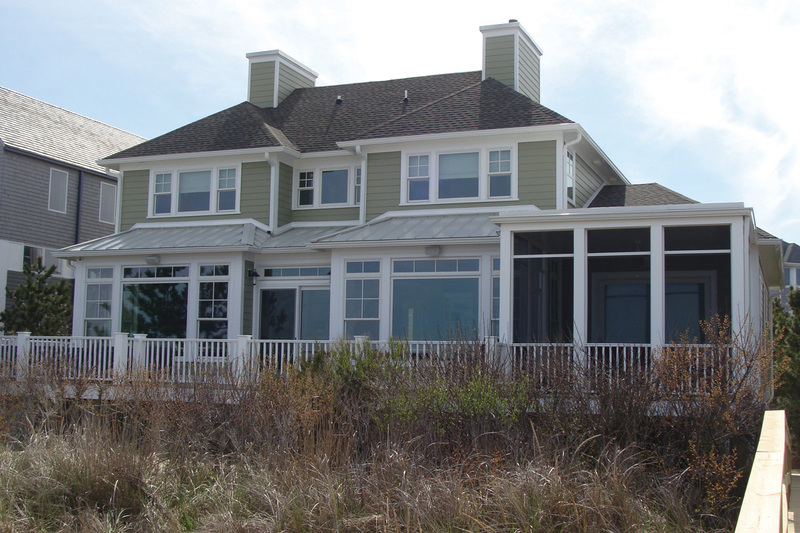 Susan and John O’Brien purchased their South Bethany beach house in 1997, when their sons were just 6, 8 and 9. Despite its small size, it became the focus of every summer from that moment, on with Susan and the kids spending all of their summers there from the last day of school in June until the early morning of the first day back in September. Eventually, they began to outgrow the original house. 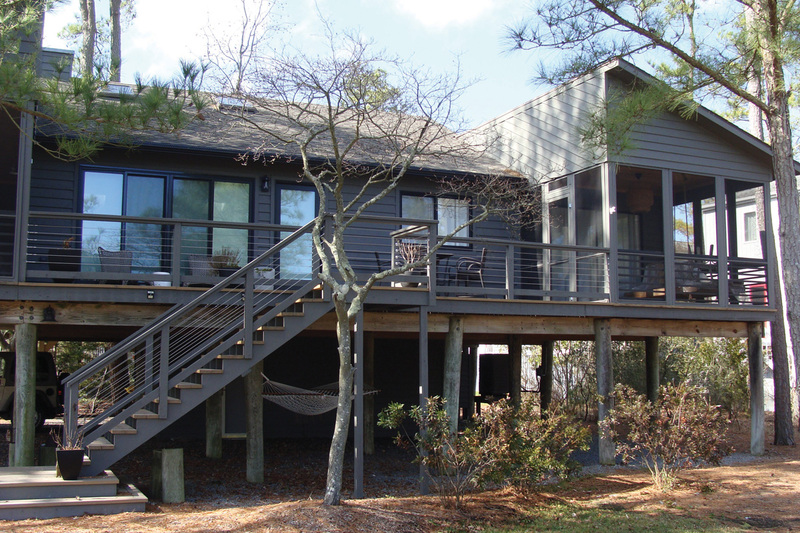 Rather than move to a bigger place, they chose to renovate because they loved their quiet location on the water, just a short walk to the beach. They began by adding a second floor in 2001, remodeling the kitchen in 2008 and just recently completed a final renovation in 2016, bringing the square footage up to 2,700 square feet. Susan describes her style of decorating as simple beach elegance, choosing a minimum of soft textural beach accessories to complement the pale monochromatic background colors. In deference to her husband’s visual impairment, she has tried to keep everything as clutter-free and light as possible to ease his navigation around the open floor plan. Having spent so many years in the original tiny downstairs master bedroom, one of Susan’s priorities was to create a spacious master suite with plenty of well-ordered storage. This final renovation was done to insure that there would be enough room for their adult sons and their future families to experience the same carefree endless summers that they enjoyed growing up, carrying on the family tradition started more than 20 years ago. 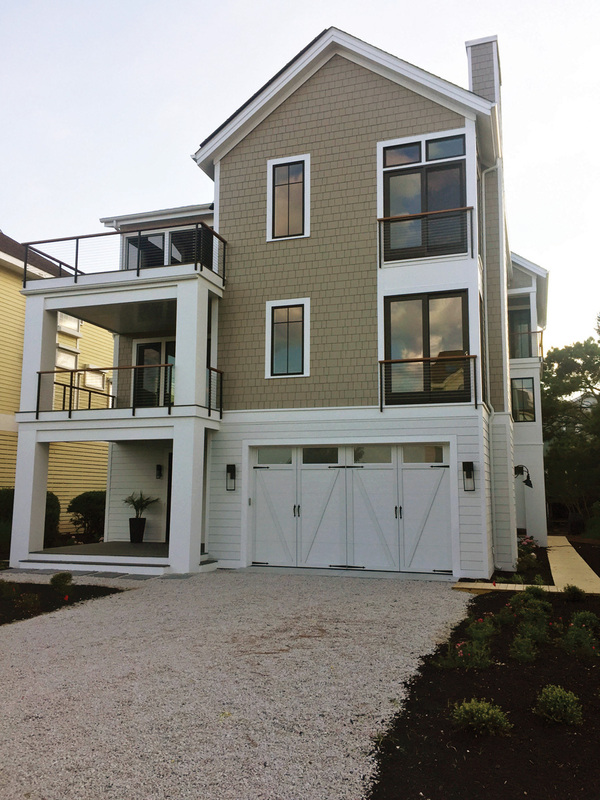 After searching for several years for their dream vacation home in Bethany Beach, Toni Ianniello and George Chuzi finally found what they’d been looking for in 2016, tucked away on a quiet street near the canal and wetlands, yet within walking distance of town. 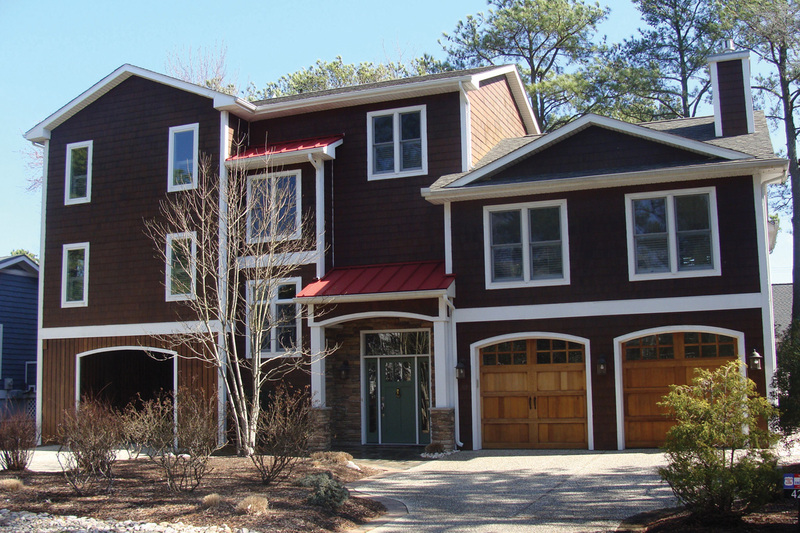 Although 10 years old, the three-story shingled home looked like new and offered quality custom finishes and architectural details that enhanced its appeal. The home was already beautifully furnished, so it only remained for them to personalize the décor with accessories and art. Toni selected works from more than 10 local artists, most found at nearby Gallery One. Reclaimed antique pine flooring, custom millwork and built-in cherry cabinetry all add warmth and richness, while art-glass sconces add a touch of elegance. A stone-faced fireplace with antique metal insert is flanked by custom built-ins and cozy seating in the open light-dappled main living area, while a spacious gourmet kitchen is an added bonus for George’s culinary creations. The master bedroom on the main floor is topped by three additional bedrooms and an adjacent lounge on the third floor, allowing a measure of space and privacy for them and their adult children as they all seek refuge in their quiet vacation retreat. Having both grown up vacationing in Bethany Beach, Carter and Matt Kirks vowed when they married that they would someday build a home there. The opportunity presented itself in 2014, with the purchase of a canalside lot in Tingles Addition that offered the chance to create a home large enough to accommodate their growing extended family. Great attention has been paid to the details of comfortable multigenerational living in this 3,600-square-foot home completed just a year ago. The main living area is an open kitchen-based floor plan, surrounded by a wrap-around all-season sunroom designed to give both children and adults plenty of room to spread out. With an eye to the future, the first-floor master suite, with an adjacent office and master laundry, is equipped with doorways and bathrooms wide enough to accommodate a wheelchair, if necessary. The entire second floor was created as a dual-generation guest suite, with a pair of double bunk bedrooms to accommodate the Kirks’ seven grandkids and a two-bedroom guest suite to serve their parents. A shared lounge and large laundry room nestle in between the bedrooms. The home is filled with plenty of well-designed practical features, such as bedside USB ports and efficient task-oriented built-in storage in the kitchen, bathrooms and laundries. The colorful décor is family-friendly, filled with fun whimsical features that include a tree-house-style loft connector between the grandkids’ bunk rooms, an entire lounge of jump-worthy beanbag furniture, a vintage mail slot for post-office play, a hand-built dollhouse and a double-sized Jacuzzi bathtub with a built-in light show. Carter’s eclectic yard-sale treasures and Matt’s vintage collections bring added character and showcase the couple’s creativity. Outdoor activities abound on this canalside lot stocked with bikes, boats, bodyboards and kayaks, all stashed under the home in clever storage bins designed by the owner so that they’re readily accessible for their active and ever-growing family. Together, JoAnn McInnis and Eric Seleznow were yearning for a beachside vacation home they could renovate in a style completely different from their 120-year-old home on Capitol Hill. Although the Lake Bethany property they settled on had been neglected for many years prior to their purchase in 2014, it was situated in a pine grove with views of marshland and easy access to the water for kayaking. It was just what they wanted. The interior of the 1,800-square-foot mid-’80s home solidly reflected that era, with wood paneling, Pergo floors, blond wood kitchen cabinets and outdated bathrooms — one of them bright red. As part of a total renovation, they updated the entire house, both inside and out, to create an “organic modern” home that comfortably blended into the sylvan setting. JoAnn did all of the design, sourcing of material and construction oversight for the entire renovation. Small original windows and doors were replaced with large double sliders to open the house to natural light and create the sense of indoor/outdoor living they were seeking. Drywall replaced the dated paneling, lighting was updated, and engineered hardwood floors were added. In the open kitchen, quartz island countertops replaced dark granite. The original cabinets were reconfigured, painted and varnished to further brighten the space. Collar-ties were crafted from local barn beams to add architectural detail to the vaulted ceiling. A selection of custom-crafted wood furnishings, antiques and artful accessories mingle with contemporary pieces to warm the cool palette of neutrals. White linen drapes throughout the house keep things simple and bathe the home in soft natural light filtered through the surrounding trees. An owner-designed hanging bed on the small porch adjacent to the master bedroom adds a final touch of serenity to this tranquil woodland escape. As a native Delawarean, Kathy Jankowski spent her youth visiting relatives in Rehoboth Beach, and it was then that her dream of living at the beach was born. 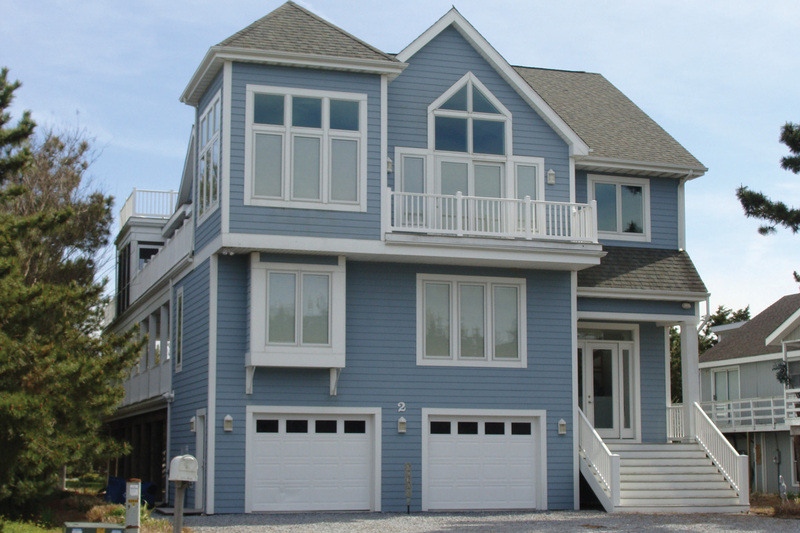 Working three jobs while a student at the University of Delaware, she saved enough to purchase waterfront property in South Bethany where she eventually built a three-story vacation home. 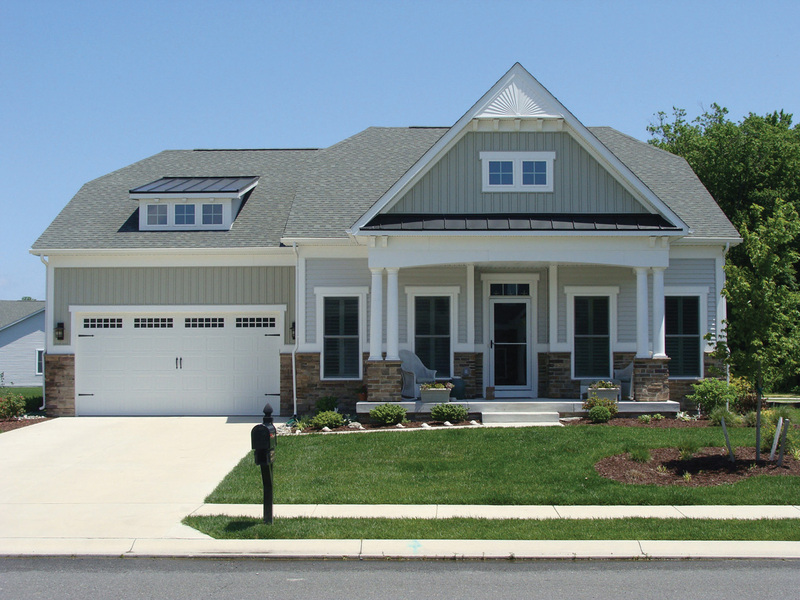 After enjoying the home with her family and friends for 33 years, however, concerns for easier senior living led to a recent decision to downsize to a one-level home. 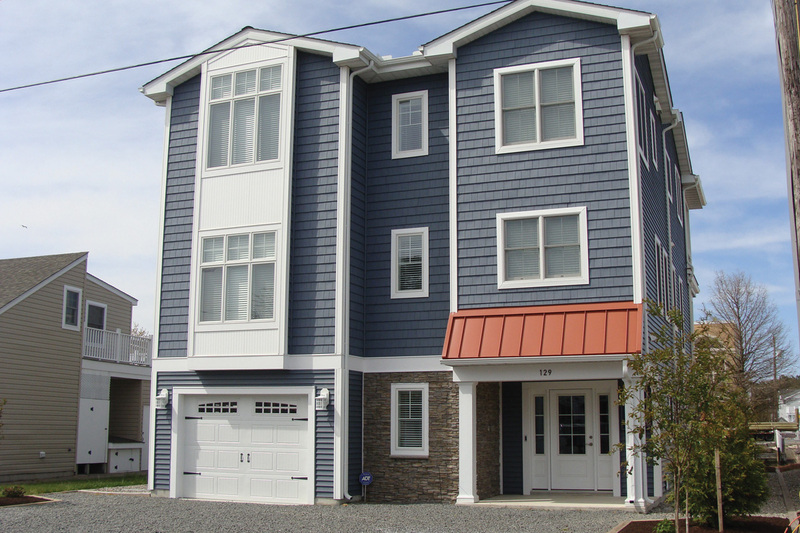 The Reserves in Ocean View offered the quality construction she and Rob Youngs were looking for in a community close to Bethany Beach amenities. Their three-bedroom, two-bath home boasts a spacious open floor plan with plenty of room for the frequent entertaining they both enjoy. Her goal with this house was to create a more traditional décor with understated subtle references to the beach, primarily through well-chosen art and accessories. A soft neutral palette is paired with nubby upholstery, patterned rugs and drapes, and is grounded by elegant wingback chairs, an assortment of antiques and a treasured baby grand piano. Arched portals add charm to the transition from the entry into the main living area and the bedrooms. A two-way fireplace provides ambiance and warmth year-round, both inside and out on the enclosed porch overlooking the pond. With a slightly modified water view, this new version of beach living continues to fulfill Kathy’s original childhood dream. After visiting the Seabreak community in North Bethany for many years, Kim and Paul Fischer purchased there in 2016 and began planning a home that would comfortably serve multiple generations of their family, completing it just in time for this year’s tour. The 4,500-square-foot house incorporates a modern mix of industrial, coastal and organic elements to create a transitional twist on the traditional gabled beach cottage. A dramatic floating oak staircase ascends from the entry to reveal a towering bank of windows designed to flood the home with natural light from the southern exposure. The upper level is designed to maximize ocean views and cross ventilation, with a 16-foot-wide bank of folding doors that open the main living area to a spacious screened porch and adjacent deck. A soaring vaulted ceiling with exposed ductwork and wooden rafters tops the great room, adding to the bright and airy open floor plan. Reclaimed woods and woven textures in the furnishing soften the industrial elements. A master suite with a walk-through closet of custom cabinetry sits at the back of this level, capped by an ocean-view balcony. The entire middle level is dedicated to houseguests, with four bedrooms, three bathrooms, a study, laundry and a communal sitting room anchored by a custom wood-slat wall. Soon after moving the aging rancher from their Sea Del lot in 2005, Sharon and Paul Dillon of Bethesda, Md., began work on a beach home that would comfortably accommodate their family and a host of regular visitors. Completed in 2008, the home is divided into three separate living areas encompassing six bedrooms, five bathrooms and more than 5,000 square feet. The home may look familiar to regular tour-goers who saw it in 2010, although it’s been tweaked and polished since then. 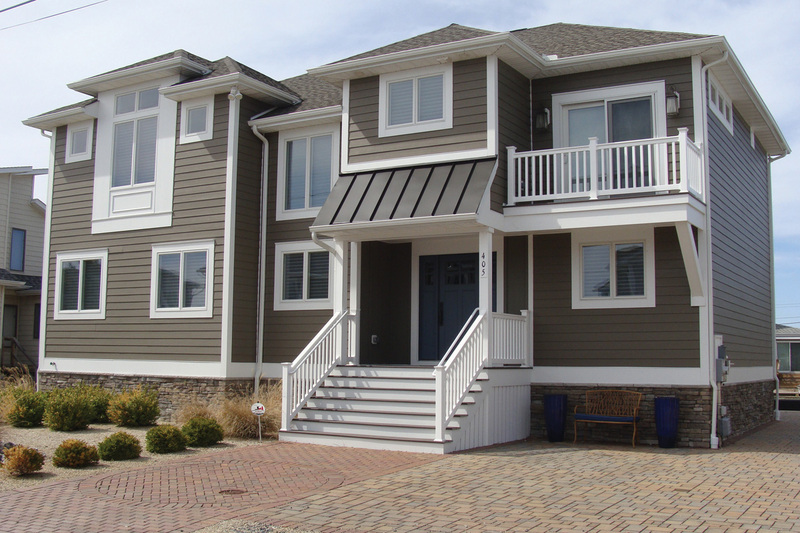 The lower level, referred to as “the Olympic Village,” features a dorm room designed to house the Dillons’ adult children and a large group of their friends who convene annually for the Dewey Beach Sprint Triathlon, sometimes numbering as many as 55 for dinner and 25 overnight. A separate ground-floor entrance allows them easy access, and two outside showers alleviate lines for the inside facilities. The middle floor, reserved for the couple’s friends and family, includes four en suite bedrooms that surround a common sitting area, with microwave, refrigerator, TV and direct access to the deck and hot tub. The light-filled third level boasts soaring vaulted ceilings that define the kitchen, dining and living areas, as well as a sunny ocean-view tower. A spacious master suite with private entry is tucked away at the rear, offering a quiet escape when needed. The soothing décor is based on Sharon’s longtime love of the color aqua, seen in myriad shades throughout the home and inspired by a beloved photo of her mother in an aqua bridesmaid dress, now displayed in the master bedroom. The Caribbean influence permeates the home, with a palette of watery blues, each room sporting a different tropical hue and grounded by sandy colored natural maple floors. The artwork continues the theme, with prints chosen from favorite island vacations, all of them pinpointed on a family travel map in an upper hallway. Seagull images complete the coastal theme, appearing on the cast metal sculpture at the entry, on the midlevel den mural, the glass wall hanging on the upper stairwell and mounted on the east exterior wall of the home. With a demanding family business in Baltimore, Bird and J.P. Bishop were seeking the solace and comfort of living by the water. While casually looking at oceanfront property for a possible future purchase, they came upon a 1992 home with “great bones” at a great price. They snapped it up and began the facelift that it desperately needed, gutting it down to the framing for a fresh start. First replacing lighting, plumbing, windows, decking and exterior railings, they then added metal accent roofs, pocket bathroom doors and multiple built-in features for extra interest. The white oak open staircase was designed by architect Scott Edmonston to become a dramatic highlight of the first-floor entry into the wide ocean vistas that span the width of the 5,000-square-foot house and serve as the primary focal point for the home. Bird has selected a soft watery palette that complements the expansive ocean views, and her clutter-free décor deepens the sense of calm. 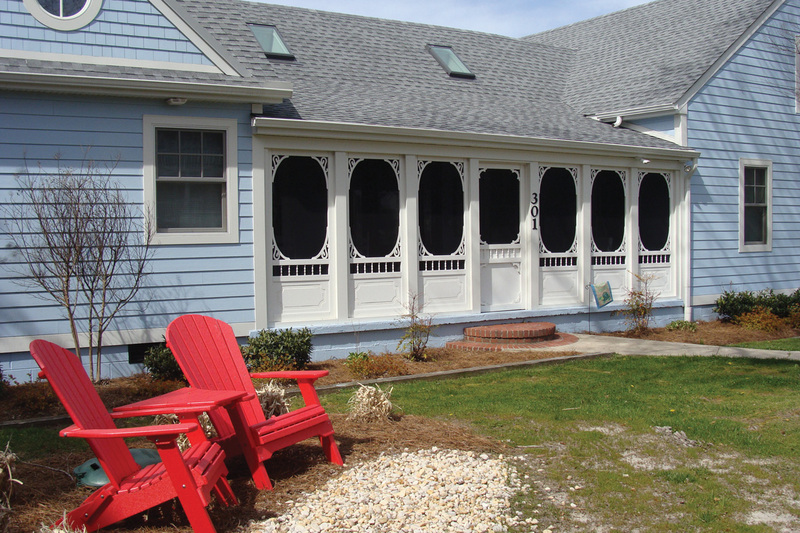 The first-floor oceanfront master bedroom with private screened porch is reserved for her 86-year-old mother. The bathroom includes floor-to-ceiling floral tile in the spacious zero-clearance shower, for a subtle touch of elegance. The five remaining en suite bedrooms are nearly identical, all sporting low-maintenance white linens and towels, distinguished only by differing accent pillows. Second-floor bedrooms surround a sunny open lounge that is anchored by a built-in daybed nestled beneath a perfect ocean view. The end result is a home that exudes peace and serenity and “Quietude,” the well-chosen paint color that dominates this newly rebuilt home.